What is the most strategic location along the snake-like baggage claim conveyor belt to position oneself? The one in the picture above looks like a standard belt with a single 'U' bend. To support passengers disembarking from an A-380, perhaps a longer belt having more than one 'U' may be required. Let us label each element of data we come across. Most of the data that we sift through below may not be needed, but it may be handy for other related analysis in the future. As a first approximation, we simplify the topography by stretching out the belt in a straight line along one dimension. 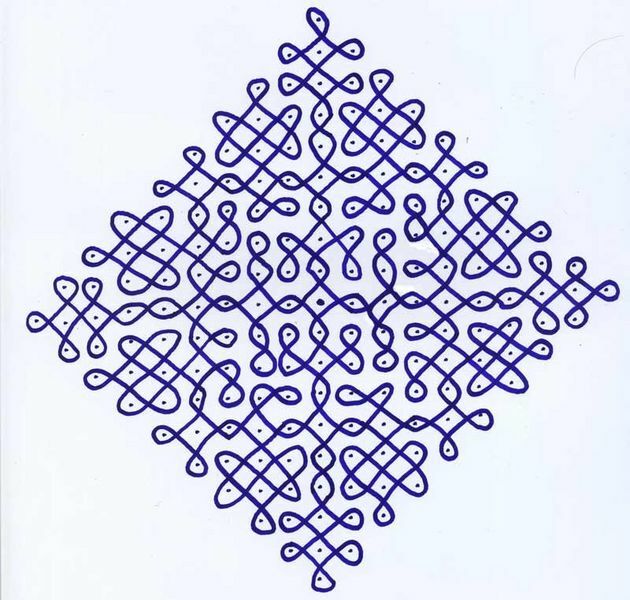 We thus have a simple chain-link graph having a single origin ('o') and destination node ('d'), and total o-d path length 'L'. 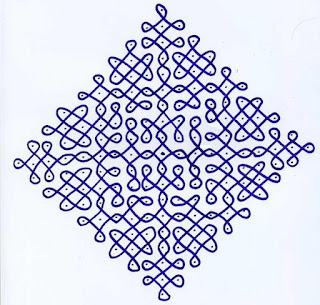 Furthermore, 'd' is reconnected back to 'o' to create a cyclical network (and a circulation system, and a queuing system, and a multicommodity flow network). Let the average length of each bag be 'w'. We assume that the bags move at a constant velocity 'v', even though the value of 'v' itself may drop if the belt is heavily loaded (e.g. v = 0, if somebody checked in an elephant). Let the total supply (inventory) of bags that is to be circulated through the conveyor belt be 'N'. For simplicity, we assume that each passenger has checked in one bag and line up along the belt to pick up their bag if they manage to ID it in a timely manner. Flow through this simple network stops after a certain number of cycles have been completed (we could ignore this rule for simplicity), or after the inventory is depleted to zero, whichever occurs first. We assume that the supply at 'o' is replenished periodically as the baggage trucks roll in, every 'k' cycles, until all inventory has been offloaded. The number of bags displayable on the belt at any time is bounded by n = L/w, where typically n << N. The density (defined as bags per unit length) is a non-increasing function of the distance from 'o' at all times, since bags can only be removed from the belt between 'o' and 'd'. In other words, the 'n' bags are not distributed uniformly, and the density is maximum near 'o', and at a minimum near 'd'. A person nearest 'o' will have to scan a lot more bags on the average before a successful match - and due to the recycling of unmatched supply, he may end up scanning some bags more than once. (Perhaps the expected number of scans can be calculated using the above data, but I suspect simulation may be an easier alternative.) On the other hand, the person waiting nearest 'd' has the least amount of work to do, since every successful match upstream means one less failed scan for her. In the extreme case, if every other passenger correctly identified their own bag the first time they see it, the person at 'd' would have to do zero work. The first bag that would show up in front of her would be hers and she can simply pick it up. If the objective is to least strain your already tired eyes, perhaps it's best that you wait near 'd'. However, we often see people get off a plane and head right for 'o'. From a safety perspective, the bags belonging to people waiting near 'o' are likely to traverse the belt the least, minimizing the chances of a bag being mistakenly matched or stolen. From a security perspective, waiting near 'o' makes sense. It seems some airports now check luggage tags before allowing a passenger to exit the baggage claim area, so this safety objective may not be useful for long. There are other obvious considerations such as picking a spot that is least crowded. If we assume that the probability 'p' that a passenger identifies their own bag in a timely manner is inversely related to the passenger density in their neighborhood and bag density, a primary consideration may be to just find a sparsely populated spot. Among such sparse spots, the one closer to 'd' may be a better option. On the other hand, the expected benefit from such a policy diminishes if too many passengers choose to be close to 'd', resulting in congestion. Finally, the state of the system changes over time. As the inventory depletes and passengers randomly exit the system, it may be worth relocating if you have the energy to do it. All this stuff is useful provided your airline has not misplaced your bags in the first place. If congress workers construct it? no. Building a road generally a good idea? yes. If the congress party supervises? nope. Whether 'FDI* in retail' is bad or good strategy for India is moot. If its execution is mangled, it will end up being a horrific loss. A 60+ year trail of evidence supports this indictment of the Congress party. "Amateurs Talk about Strategy, Dilettantes Talk about Tactics, and Professionals Talk about Logistics". The original quote is usually attributed to General Omar. Bradley, the "People's General". India is timeless. Returning from there is always the difficult part and every trip to the land of the Ramayana and the Mahabharata invariably feels too short, and the most recent visit to South India was no exception. India frustrates. Six decades of Soviet-style centralized planning after two centuries of looting by the British has wrecked the post-independence economy and sapped much of it's optimism. Economic liberalization introduced in the 1990s to rescue the economy has now slowed down. India is living proof that populist socialism works wonderfully in theory, but in practice brutally extinguishes the hopes and lives of millions. I have had first hand experience. India's first and foremost modern ORMS and analytics practitioner, P. C. Mahalanobis constructed large-scale linear programming models in the 1950s to optimize such grand centralized planning goals - an exercise in futility and certainly not the science and practice of 'better'! Incidentally, one of the members of today's NAC (national advisory council), an unaccountable group of secretive leftist planners that work totally outside the purview of the Indian parliament, is Jean Dreze, a naturalized Indian citizen from Belgium who appears to have learned the art of coming up with equally grand centralized planning models (for the 21st century) from his father, who was both an operations researcher and economist. Not surprisingly, these grand schemes have failed miserably during human testing. It seems the modeling assumptions did not account for reality. Mahalanobis did however leave behind a positive legacy. 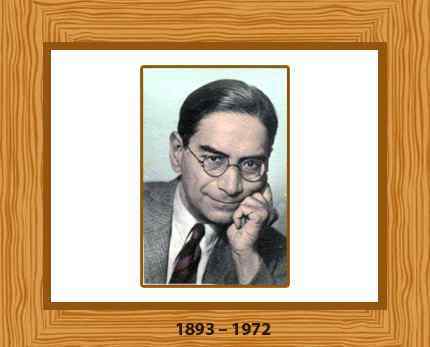 He founded the Indian Statistical Institute that produces many smart ORMS and statistics graduates to this day. He was a contemporary of the legendary Srinivasa Ramanujan and there is a well-recorded story of PCM posing a math problem to the young math genius from Tamil Nadu, who while cooking, answered the question and also provided a solution to the more general case. Perhaps a major reason why India still has above-average GDP growth is the natural entrepreneurial spirit of its talented people that simply refuses to die. There is a market for everything in India. India enchants. 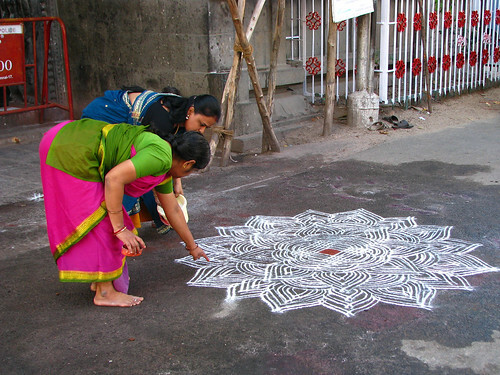 By the time I wake up in the morning in my ancestral village in the temple state of Tamil Nadu, my mother has created her Kolam (Rangoli) patterns in front of the house. India challenges. We board a train from Bangalore to Chennai. The seats are numbered sequentially but the ticket does not provide a deterministic clue on whether we have an aisle or middle seat. My family has contiguous seat numbers, but we soon discover that the seats themselves are not. A sole traveler shifting away from his window seat would have solved the problem in a jiffy but he refuses to oblige. We discover two other families facing the same problem. We perform an elegant three-way swap that would have made Lin and Kernighan proud, and enjoy a global optimal solution to this combinatorial problem for the remainder of the journey. It's about time the Indian Railways switches to alphanumeric seat labels. India corrupts. I notice the beginnings of a flyover (overpass) in my village-town. Clearly there doesn't seem to be a need for it since the benefit/cost ratio seemed rather poor, but the politicians wanted one, so the town has to endure it. They're also widening the train tracks that go thru the town, which actually appears to be a sane idea. However, they want to rebuild a working bridge to accommodate this change. The crazy guys try to demolish the old bridge, but it proves to be too strong, so work is delayed. Eventually the new one will come up and will most likely be built with sub-standard building material. India heals. I visit the temple of my Ishta Devta (approximately translates to: 'preferred iconic embodiment of the divine') that is located on a hill in Pazhani,Tamil Nadu. In the past, many fervently monotheist invaders of India mistook this sophisticated Indian concept for "idol worship", leading to genocide and wholesale temple destruction. sigh. I visit this famous temple the traditional way by climbing the many hundred steps to the summit. It's also a great morning work out. My family choose the popular modern mode of transportation and take the cable-car and arrive 30 minutes later! There appears to be a classical circulation problem hidden there. The temple staff appear to be practicing some form of revenue management while also maximizing cable car capacity utilization. Uphill rides are twice as expensive as riding down, off-peak rides are half-price, and they wait until the cars are at capacity before launching. Hence the delay. Once inside the temple complex on the top, the administrators appear to employ 'lot sizing' where people line up and then ushered in to view the Murthi (icon) of the deity in batches that seem to be somewhat synchronized with cable car arrivals at the top. Thus I derive no significant advantage in getting to the top earlier than the cable-car riders. You either wait at the bottom of the hill or on top and the total time spent in the system is practically constant. India beckons. All said and done, I cant wait to get back. Until then, here's an audio sample of South Indian classical (Carnatic) vocal synced to Western instrumental music.